Irvine Park Christmas Train and Giveaway! We love Irvine Park and the Irvine Park Railroad. We visit often and it’s become a tradition to head to Irvine Park Railroad for Easter, Halloween and my favorite holiday of all, Christmas. This will be the 7th year in a row that we have made our way up to the Irvine Park Railroad Christmas train to visit Santa and participate in all of the fun activities. We bring our extended family, a thermos filled with hot chocolate, treats and take the train to meet Santa and take pictures. We usually head to the park early to partake in the many fun activities including cookie decorating and Santa’s Bounce House. 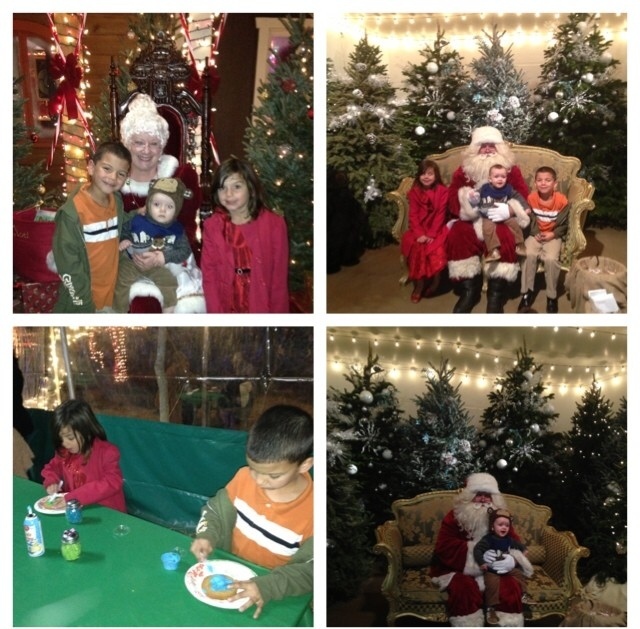 The kiddos love cheesing around the different photo stations and also love storytime with Mrs. Claus. 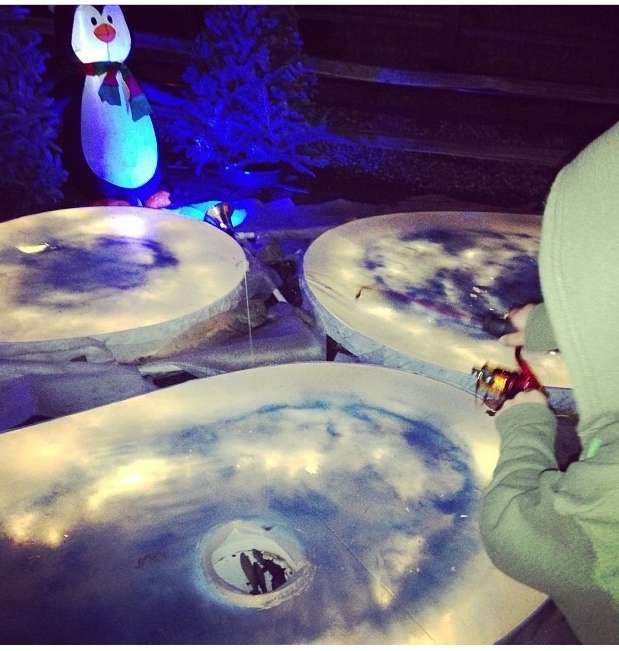 There are quite a few fun activities that are free of charge for the family. If you get there early you can usually avoid waiting in line. This year like last year you can purchase your tickets in advance online for a specific time and avoid waiting in line. You can purchase your tickets by clicking here. The Christmas Train will run from November 28th to December 23rd this year. Make sure to buy your tickets ahead of time and avoid waiting in line! Our giveaway is only running for two days, so make sure to enter quickly! Giveaway ends on Thursday, November 13th at 11:59pm. Winner will be selected at random using random.org. Good luck! This entry was posted in Uncategorized and tagged Christmas Train, Irvine Park Railroad, irvine park railroad Christmas Train. ← Disney on Ice – Let’s Celebrate! We rode last year for the first time. I’d take my boys and hubby. Sorry, I should add we’d take our 3 kids, ages 5y and 3ys! Would love to take the boys! This looks like a blast. Definitely going on our list of Christmas activities. Would love to take the kids!! I have never been to the park but sounds GREAT! I would go w/my husband and 2 kids. THANKS!!! Hello what perfect way to start the wonderful holiday season.My four old would love it. I’d love to take my son! we would love to go & take our kids. We have not had the pleasure of riding the Christmas train but would be so excited to do this as a family! I’d absolutely bring my sweet husband and darling kiddos…how fun! I would take my son and daughter!! Never been!! We visited Irvine Park Railroad for the first time during Halloween, and loved it. Going during Christmas is definitely on our to do list! We’ve never been, but this looks so fun! I would take my husband and our 2 kids, aged 5 & 6. You do the coolest things with your family! What great memories. We have never been but would love to take our kids. Sounds like fun. I’ve never been there before. I’d love to take my kids. We’ve never been! We go to the Halloween pumpkin patch and train every year but never made it to this. Would LOVE to take my daughter. I would love to make this part of our Christmas tradition! So cute!! would love to take my 6 and 7 years old kids. neve been to x-mas at irvine park. Thanks for the giveaway! We’ve never been and would love to take my 2 little girls! I would love to go and take my boys! I would take my son, hubby and my mom. Went last year for the first time & my son loved it! Definitely going back this year. My husband and I brought our 2-year-old there for the Fall Harvest Festival/Pumpkin Patch and he really enjoyed the train ride. The three of us would love to see the Christmas decor! Rode last year! Would take hubby and kids! We do this every year! My kids love it! I would take my husband and our 2 boys!!! We’ve gone a couple years now, my husband and son, with our friends and their daughter and son. So much fun. We’ve never been. I’d take my 3 boys. I have not been on the Christmas train, my boys would be thrilled, and possibly even my husband. We’ve never done this before, but I know my daughter would love it! I have been wanting to take my boys here for awhile! Would love to WIN the tickets! We”ve never been, would take the whole family! this is one of my favorite Christmas traditions! I would take my husband and 2 children. Last year was our first time and we loved it!! It would be amazing to win these and take our boys again!! We went for the first time last year and loved it. My daughter would be SO excited to go back! My family has never been there & my 2 year old daughter loves trains!! 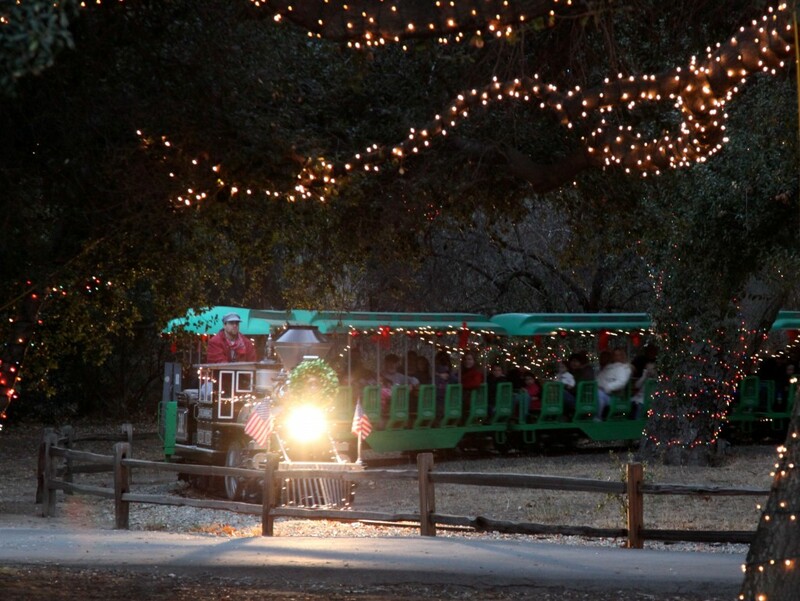 We LOVE Irvine Park Railroad at Christmas! I have not gone on the Christmas train. I would take my husband and two kids. We have never been and I would love to take my kids! We just went to the pumpkin patch for the first time ever this year! Can’t wait to ride the Christmas train now! We’ve never been, but my boys, 7 and 2, would love it! I would love to take my boys here for the first time! This would be a wonderful tradition to start with our 3 grandchildren, who are 4, 19 months and 11 months! Would absolutely love to go for the first time this year! I never knew about this place! 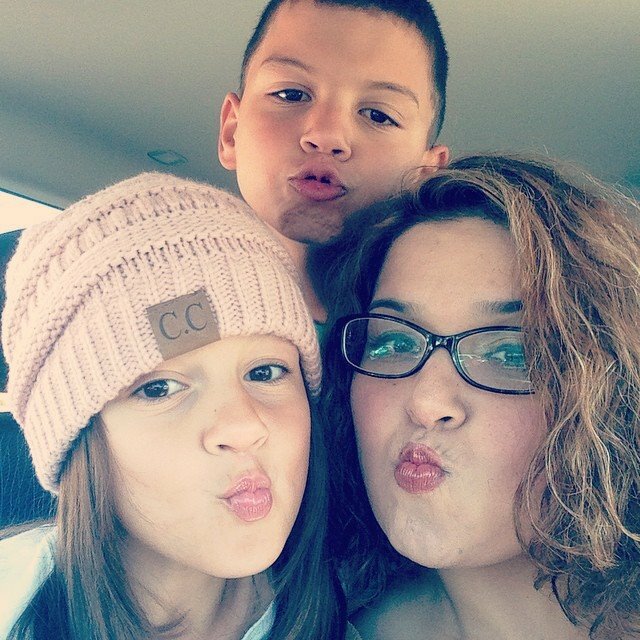 My husband and I would take our son, 8yrs old, and daughter, 4 yrs old. They would love it! I’ve been wanting to take the family here for years! We went for the first time last year. The kids loved it! We plan to make it a tradition.